Get dazzling nails with the unique combination of intoxicating color and irresistible scent. Light fragrances last all day. 150/- INR for 8ml. Shelf-life of 3 years. Buy it here. Revlon Scented Parfume Nail Enamel Mint Fizz comes in a conical glass bottle with black lid on. Brush is thin and perfect for application. 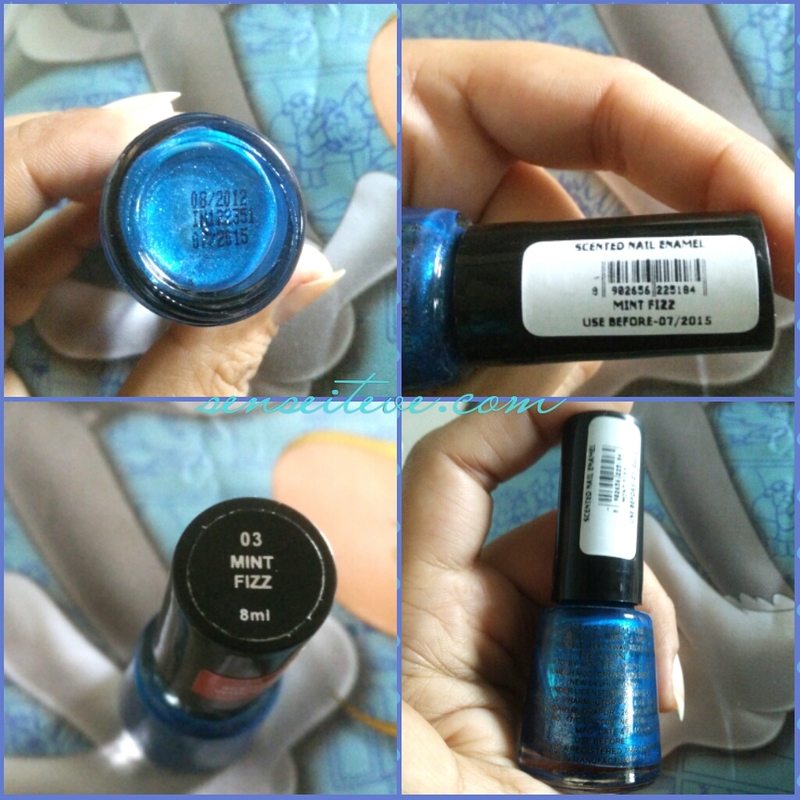 Revlon Scented Parfume Nail Enamel Mint Fizz is metallic blue color with silver shimmer in it. The color is gorgeous and I love it. Here is a close up of my nails, if you can see tiny silver shimmer which is not too much. 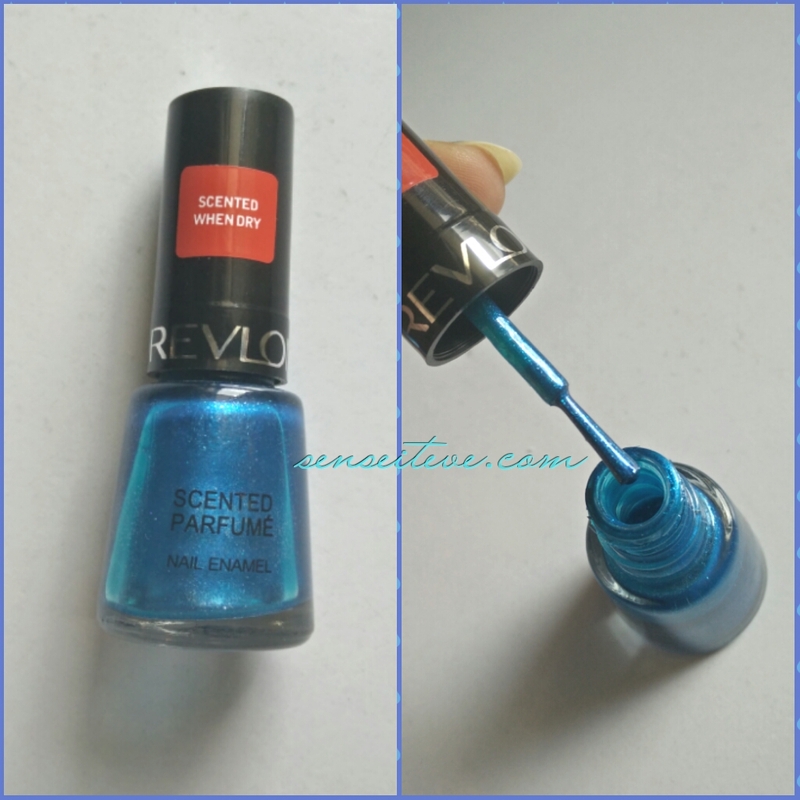 Consistency of Revlon Scented Parfume Nail Enamel Mint Fizz is a bit on thin side but application is a breeze. It doesn’t get streaky at all. 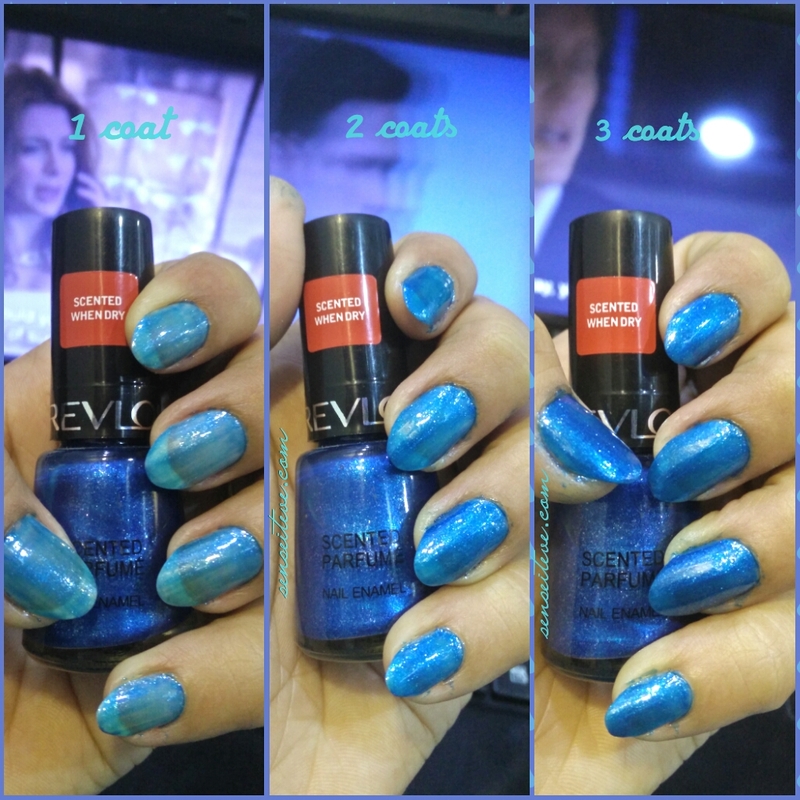 Pigmentation of Revlon Scented Parfume Nail Enamel Mint Fizz is very sheer in 1 coat, workable in 2 and opaque in 3 coats. Here is swatch for 1,2 and 3 coats on my nails. 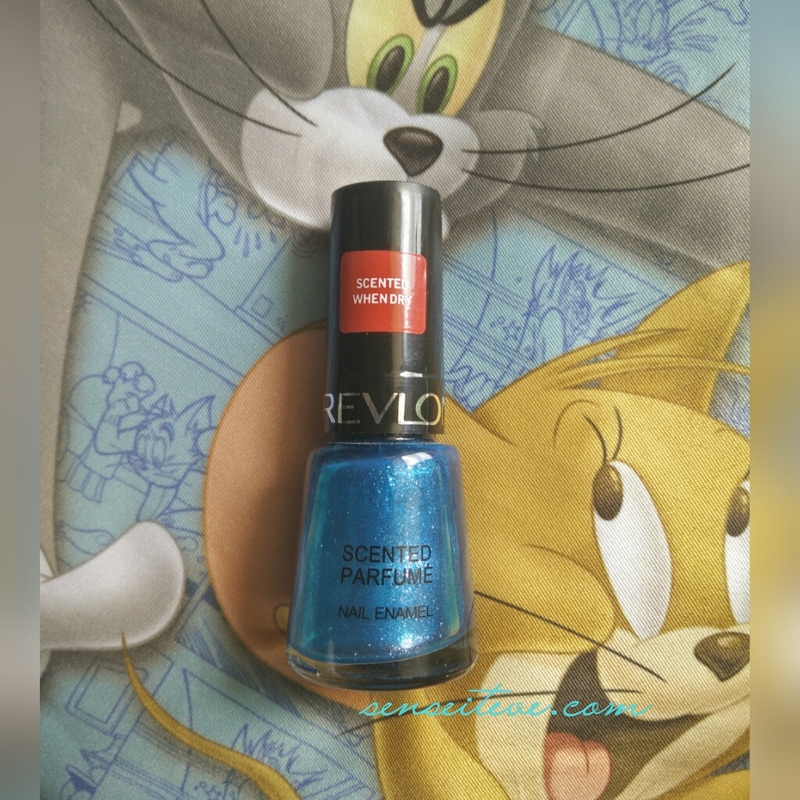 Revlon Scented Parfume Nail Enamel Mint Fizz has fresh minty scent a the shade name suggests and the scent stays noticeable for 24 hours and after that it faints and you can still have a light/very light whiff of it for almost a week. It stays perfectly chip-free for 3-4 days on me(I do house chores) after that it starts to chip from tips. 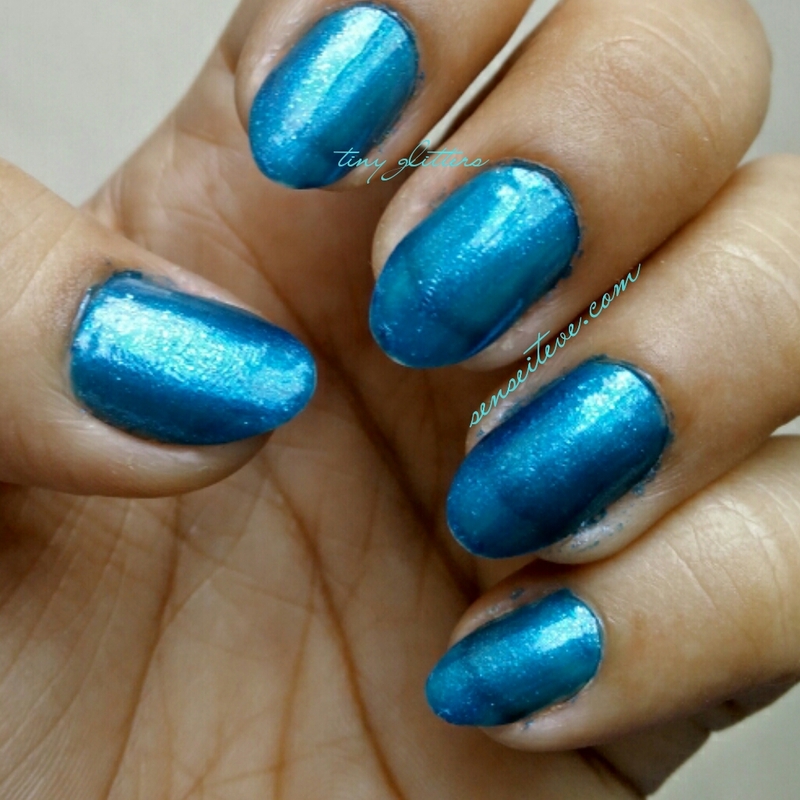 beautiful metallic blue color, brightens up the hands. Nice mint fragrance which is not overpowering. Doesn’t leave stain on nails. Scent stays for almost whole week. Scent fades after 24 hours and very faint scent is remained. So Ladies, have you tried Revlon Scented Parfume Nail Enamel Mint Fizz or any other color from Revlon Scented Parfume Nail Enamel range? If yes, hare your thoughts, If No, would you love to try it? Leave your comments, I love to hear from you all. Till next time.. Take care…xoxo. Thank you Mariyam, Shimmers give it metallic finish, they are not overboard or noticeable from distance. The shade looks gorgeous on you, I haven’t heard much about this range. Thanks for the review! Such a nice shade and looks great on your nails. But the color looks amazing. it’s a beautiful color…..I love the way it looks on you…. 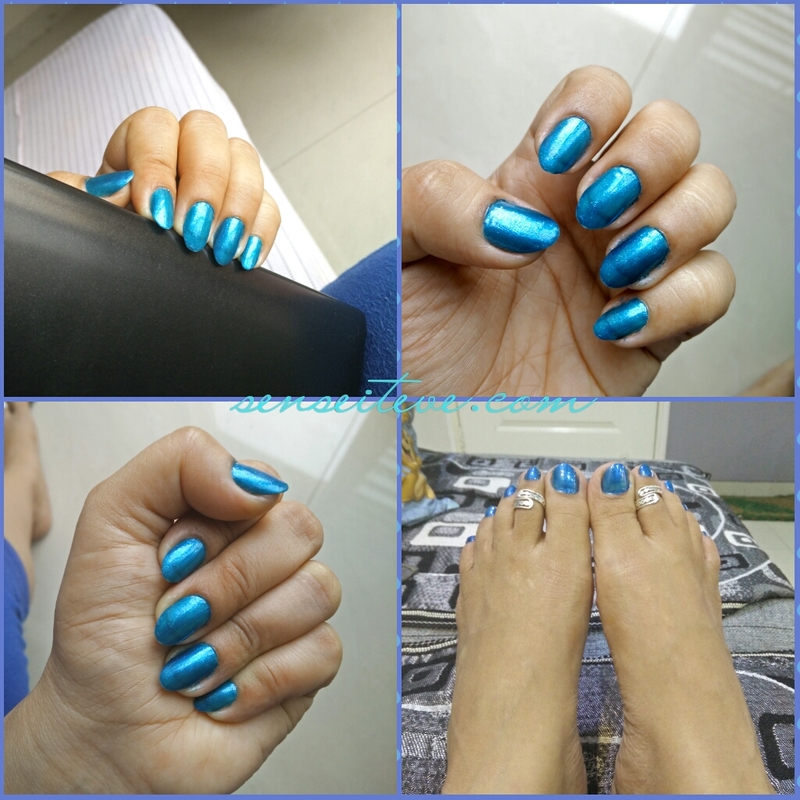 Great NOTD anubhuti ! I love scented nail enamels!! Never tried a scented nail paint! Reading ur review, I am tempted to try! So pretty on your nails….I have a mauve shade in this! !